I take up my pen just to give you an imperfect account of one of the most dreadful Hurricanes that memory or any records whatever can trace, which happened here last week at night. redoubled fury and continued so ’till near three o’clock in the morning. Good God! what horror and destruction. as if a total dissolution of nature was taking place. The roaring of the sea and wind, fiery meteors flying about it in the air, the prodigious glare of almost perpetual lightning, the crash of the falling houses, and the ear-piercing shrieks of the distressed, were sufficient to strike astonishment into Angels. BIO. 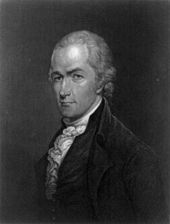 For a contemporary biography of Alexander Hamilton click here. to lie upon, or a dry covering to their bodies; and our harbours entirely bare. In a word, misery, in all its most hideous shapes, spread over the whole face of the country. A strong smell of gunpowder added somewhat to the terrors of the night; and it was observed that the rain was surprisingly salt. Indeed the water is so brackish and full of sulphur that there is hardly any drinking it. Where now, oh! vile worm, is all thy boasted fortitude and resolution? What is become of thine arrogance and self sufficiency? whose nod alone were sufficient to quell the destruction that hovers over thee, or crush thee into atoms? See thy wretched helpless state, and learn to know thyself. calm suspense! A short repose from calamity to end in eternal bliss? Let the planets forsake their course. Let the Sun be extinguished and the Heavens burst asunder. will exalt me to the fellowship of Angels and Seraphs, and to the fullness of never ending joys. the winds and belching forth flames: Calamity on his left threatening famine disease and distress of all kinds. And Oh!thou wretch, look still a little further; see the gulph of eternal misery open. There mayest thou shortly plunge—the just reward of thy vileness. Alas! whither canst thou fly? Where hide thyself? Thou canst not call upon thy God; thy life has been a continual warfare with him. uncommon cast. I thank God, this was not the case. 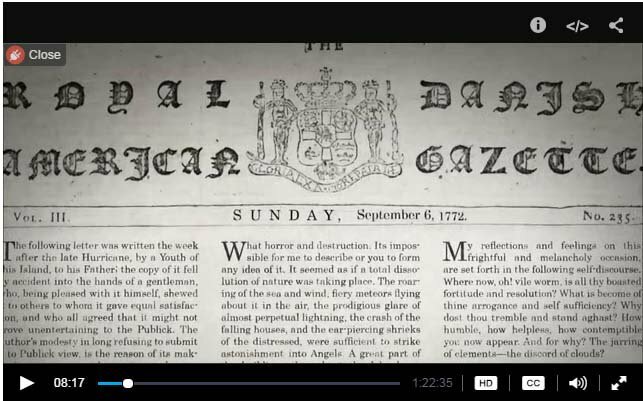 The scenes of horror exhibited around us, naturally awakened such ideas 6 september 1772 in every thinking breast, and aggravated the deformity of every failing of our lives. It were a lamentable insensibility indeed, not to have had such feelings, and I think inconsistent with human nature. Our distressed, helpless condition taught us humility and contempt of ourselves. The horrors of the night, the prospect of an immediate, cruel death—or, as one may say, of being crushed by the Almighty in his anger—filled us with terror. And every thing that had tended to weaken our interest with him, upbraided us in the strongest colours, with our baseness and folly. That which, in a calm unruffled temper, we call a natural cause, seemed then like the correction of the Deity. Our imagination represented him as an incensed master, executing vengeance on the crimes of his servants. The father and benefactor were forgot, and in that view, a consciousness of our guilt filled us with despair. But see, the Lord relents. He hears our prayer. The Lightning ceases. The winds are appeased. The warring elements are reconciled and all things promise peace. The darkness is dispell’d and drooping nature revives at the approaching dawn. Look back Oh! my soul, look back and tremble. Rejoice at thy deliverance, and humble thyself in the presence of thydeliverer. sorrow? Look around thee and shudder at the view. See desolation and ruin where’er thou turnest thine eye! See thy fellow-creatures pale and lifeless; their bodies mangled, their souls snatched into eternity, unexpecting. Alas! perhaps unprepared! poverty denies relief, her breast heaves with pangs of maternal pity, her heart is bursting, the tears gush down her cheeks. have no power to solace! and lay up a treasure in Heaven. Our General has issued several very salutary and humane regulations, and both in his publick and private measures, has shewn himself the Man.